Busy days can lead to frustration when it comes to making dinner. Who has time to fix a meal when they don’t get home until 6pm or later? Better yet, who feels like cooking a meal after a hard day’s work? So, what’s a girl to do in order to avoid frozen dinners or worse yet, fast food? Use your weekends off to prepare all your meals for the upcoming week. We’ve all been there at least once and if you’re like me, more times than we wish to admit. We go to the grocery store and spend a ton of money so that there will be food in the house. We then make a promise to cook each and every night since the food is already there and ready to be consumed. But, guess what happens? I come home from work late and I am tired. Everyone else is tired from work and school and no one wants to cook. It falls on me to cook so I suggest that we order take-out food. We spend twenty or thirty dollars on food for one meal when we have a freezer full of food. Have you been there, too? Not a very good choice when we’re trying hard to save money, right? One way I’ve found to stop this endless cycle is to pick one day on the weekend and have a cooking party. Yes, you read that right - a cooking party. I make a menu for the week and thaw out the food on Friday. Then, on Saturday morning I get to work. The kids can help me if they choose and when they do, they get a say in what we will be eating. For your weekend cooking party, decide on the menu early. This ensures that everything needed is present and accounted for. Start with the meats. They will take the longest to cook so get that going and try to have a variety so you’re not bored with the same meats all week long. Side dishes should be prepared, too. It seems like such a small thing to cook the main part of the meal and save the rest for later. What usually happens is no one feels like cooking anything. Avoid the drama by cooking everything at the same time. Cooking that much food for later requires containers to hold it all. There are two ways this can be done. 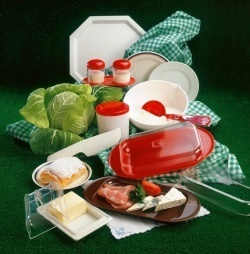 One way is to use containers that are large enough for each side dish and the main meat courses. Each day, take a meat and two sides out of the fridge and heat it up for dinner. The second way gives the family a little more of a choice each day of what they want to eat. When the food cools (everything needs to cool before placing it in containers), have each person scoop what they want to eat into a serving container. Have one meat and two sides per container. In the absence of the family you can do it yourself. Label each with what is inside. During the week, everyone can pick from a variety of dinner combinations. Each works, but it is up to you to decide which is better for your family. Cooking on the weekend saves time and money because you’ll be less tempted to go out when you’re tired from working all day. Not to mention, for once you’re sure to use the leftovers! If your food makes more meals than you could eat in a week, freeze several of them for another time. Simply thaw each meal the day you plan to serve it. Yes, you will have to make an investment in dinner size containers, but it pays off the more you use them. Once you see how much stress you relieve and healthier your family is eating it will be well worth the initial cost.